Saturday July 8th, 9.00 am. Rain. It’s wet and cold. 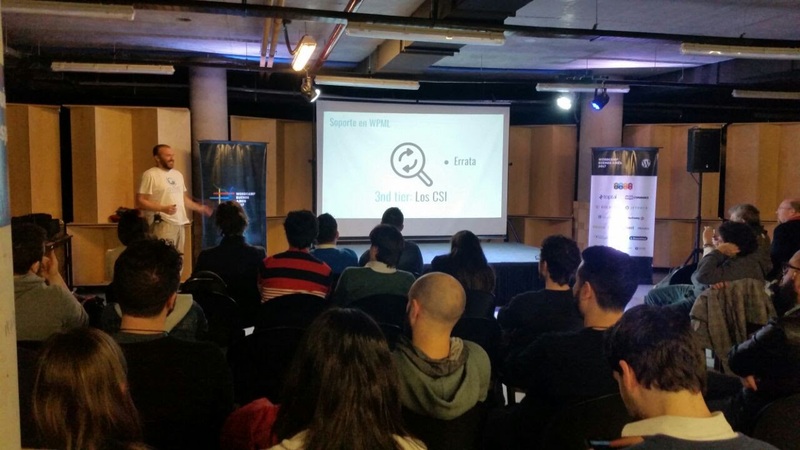 The Argentinian WordPress community is about to hold the 5th WordCamp. A long queue of people slithers out of the venue, Area 3, co-working space in the nice surroundings of Palermo, Buenos Aires City. In spite of the bad weather, there is a lot of enthusiasm. The talks are promising. The organizers have taken care of all details. Everybody is looking forward to it! As we arrive, Laura and I hear a man crying out: “Don’t stand in the rain. Get in!” So we squeeze in among the others in the queue and take shelter at the entrance. After quickly registering, we walk in and the smell of fresh coffee welcomes us. We spot Pierre, who had come from Brazil to attend the WordCamp as well as to visit our beautiful Buenos Aires City, and Otto. We chit chat and head for the first presentation……. We attended the rest of the talks altogether, but occasionally split up if they were too technical (Laura-Me and Otto-Pierre). Most interesting was the story Miguel Lederkremer presented under the subject WordPress en el mercado editorial: dos casos de éxito (WordPress in the editorial market: 2 case studies). I liked the way he explained how they managed to rebuild themselves after the fall of the printed media. They succeeded in surviving and even building a strong digital business. 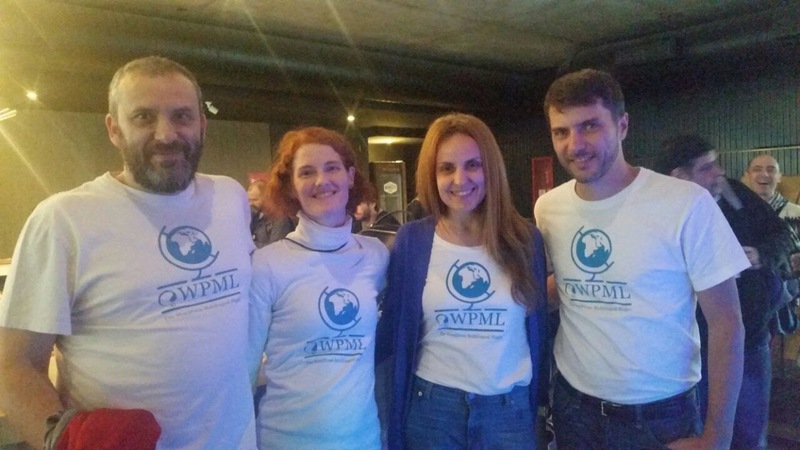 Among the talks presented was Otto’s El soporte soporta tu negocio: caso de estudio de WPML (Support supports your business: case study on WPML) where he joked he was risking his job with this presentation. We were most intrigued! If you are too ask him directly :) (all I can say is that the confession was not as risky in the end). His talk was very good and people liked it. I must say, he is a celebrity in the WordPress community in Buenos Aires, and seems to be becoming a referent. Good for Otto! There were some Automatticians we had met in our first Meetup La Plata, so we approached them to say Hi and have a nice talk with them. It is always a pleasure to talk with them! Some people approached us with technical questions about WPML. Others asked more general questions to get to know more about us. We did not have a sponsors table, but the 4 of us wore the company t-shirt. This helped people to recognize us. At the end of the event we ran a little contest on Twitter. Laura managed to get the contest announced during the event, bravo! The participants had to mention @wpml with the hashtag #WCBA17. We held a raffle to pick the winner. We announced it in the after- party, in a more relaxed environment. All in all, the Argentinean community is very enthusiastic. The organization of the event impressed everyone and the talks were very varied (WordPress and more, including working remotely, SEO and even philosophy ). As regards the company, WPML is quite well known in the local community but there were many beginners or first-timers attending who did not know about WPML. There is definitely room for spreading the word about our plugins and all the magic that can be achieved with Toolset… maybe in our next meetup La Plata?